A rooftop bar is always a unique setting to down your favourite drink in. Indeed, open-air vistas that showcase skylines, horizons and street scenes imbue the city with a theatrical environmental quality that the ground-level can not. Sydney’s circuit of rooftop bars is characterised by its diversity too. With spring in full swing, you can visit rooftop venues for DJs and bands, a good menu and a lively row of drinks on tap, special events or just to embrace the ambience of people relaxing in the sun. If you’re headed to Song Hotels for your next trip, here are four rooftop bars that will breathe some fresh air into your experience of the city. Did somebody say pool party? Ivy Pool Club, situated four levels up on Sydney’s George Street, looks something like the set of Love Island when it’s in full flight. The funderland, which changes vibes at different stages of the clock, is a great place for stretching out with cocktails on the prized cabana lounges while the sun is working. By night, meanwhile, it’s synonymous with a waxy crowd you’ll enjoy joining if you like dancing to the soundtracks of minty local and international DJs. There’s pretty much more pizza options here than a pizza shop and the extensive wine list is good reading when you’re ready for a sabbatical from the club’s arsenal of blockbuster cocktails. You can also factor happy hours, club nights and special events into your plans. You’ll earn your drink by ascending the calf-burning stairs to this bar in the sky. Taylor’s Rooftop Bar is the jewel on Sydney’s Republic Hotel and it has an answer to the elements in the form of a retractable roof. The roof is a bit of a showpiece itself but, when it opens up, it’s all about the tightly packed city skyline on show. The bar’s lush garden walls, agreeable couches and earnest bar service flavour the locale with a breezy vibe that it’s easy to synch into. The menu is steeped in pub standards (burgers and salads are populace) and Asian Mediterranean influences and, for drinks, you’re looking a classic cocktails, all the wine basics and a serviceable range of beers. Established as a new limb on the centuries-old Republic Hotel in 2015, the party at Taylor’s really comes to life at night. With cool record labels and a spicy stable of talent in the mix, if people aren’t sitting, it’s because they’re dancing. 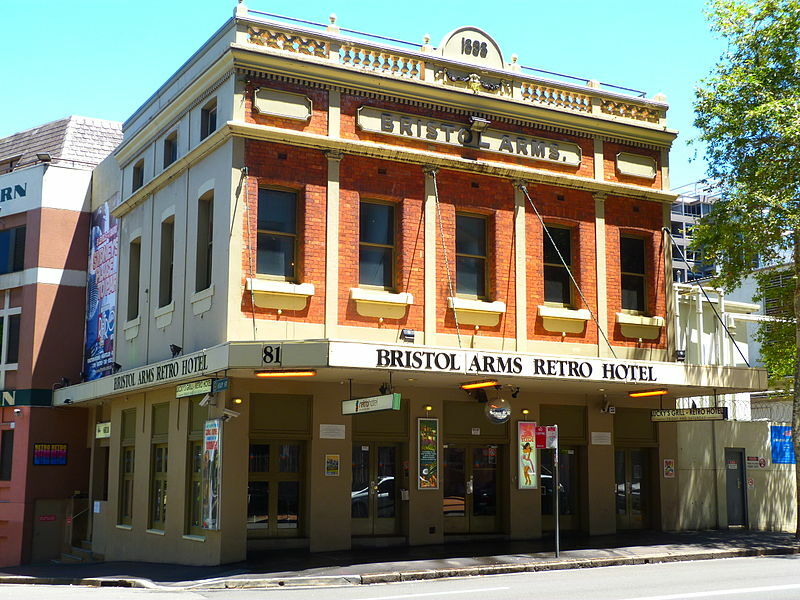 The Glenmore, an iconic Australian pub that made The Rocks its home in 1921, won the Australian Hotels Association Best Rooftop Bar category in 2016 – and there’s no objections to that here. 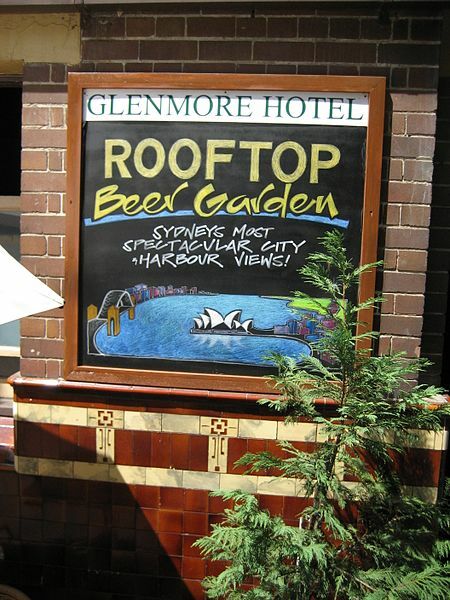 At the Glenmore, you can enjoy rooftop real estate perfect for a meal, a yak, a drink and all the view of the Harbour and CBD you could ever need. The bar stages different events on different nights of the week too – including all-day Monday steaks, Acoustic Sundays and special events such as New Year’s Eve and the Melbourne Cup – but that’s not everything. The next floor down, the Glenmore Lounge, is a cocktail bar with a number of plush dining rooms that are ideal for an intimate dinner or a convivial social event. And the ground floor is a sports bar that plays the part of preserving some of the classic pub’s traditional down-to-earth charm. You can fashion your experience so it’s like a number of nights out rolled into one. 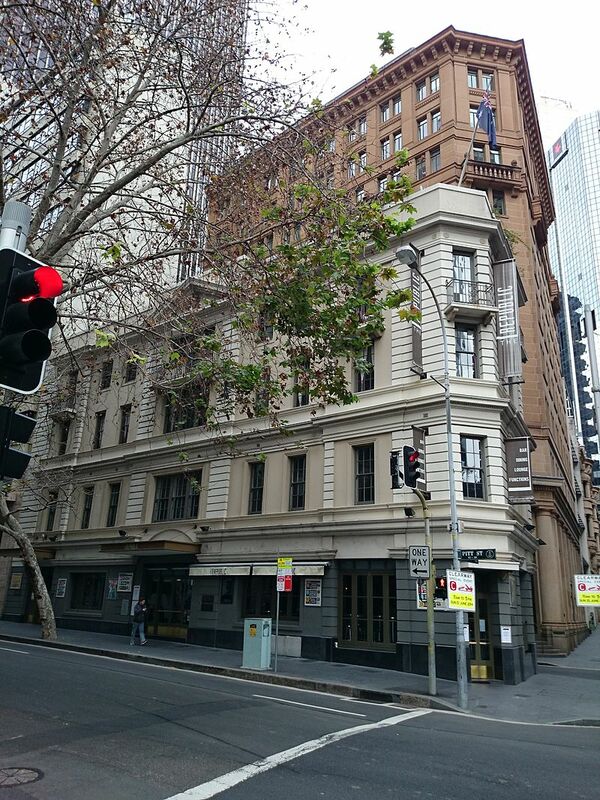 This age-spotted red face brick hotel is one of just five hotels in Sydney’s CBD to be designed in the Federation Free Classical style. Situated at the western edge of the city since 1898, the five-level venue features a rooftop with wood decking and festoons that add a twinkle to the warm spring nights. If you want Pimms in this kind of weather, you can definitely have it here because Bristol Arms serves it by the jug at discount prices. If this stimulates your enthusiasm to party, nobody will stop you either. In fact, the venue is all about partying Thursday-Saturday if you want it to be. Retro, a fun 80s-themed night, takes place on the weekend and it would be a crime not to get a little rowdy at this popular event.